vetPROTECT is the culmintion of four years of intensive research and development. The South African Veterinary Association (SAVA) has for some time been concerned by the increasing liability risks faced by veterinarians in South Africa and embarked on a process of establishing appropriate cover for its members. The SA public, like those in many other contries, has become more aware of the rights and remedies available to them in instances of negligent or unprofessional conduct. How was the vetPROTECT product developed? Research was conducted into the needs of the various speciality groups within the SAVA, from the wildlife, equine practitioners (EPG), livestock health and production group (LHPG), pig veterinary society (PVS) and poultry to the exotics, avian and veterinary clinicians (VCG) groups. the aim here was, firstly, to get an informed view of the current state of affairs regardign liability and indemnity insurance within the local vet profession and, secondly, to get a better understanding of the malpractice risks specific to each of the groups so that they would be properly covered by the insurers. SAVA embarked on a fact-finding mission in 2004 to investigate PI insurance for veterinarians in South Africa. The starting point was to determine international best practice with a view to using this as a benchmark for developing a uniquely South African product. A request for information was made to the American Veterinary Medical Association, the Canadian Veterinary Association, the Royal College of Veterinary Surgeons, the Australian Veterinary Association and the New Zealand Veterinary Association in order to determine the state of PI insurance in their respective countries. In South Africa itself, research was conducted into PI insurance in the medical, legal, accounting and engineering professions, amongst others. Meetings were held with the Medical Protection Society (MPS) as well as the South African Medical Association (SAMA). A comprehensive overview of the status of PI within the medical field was obtained and various potential scenarios for the veterinary profession were discussed based on the experience in the medical field. Furthermore, meetings were held with the South African Veterinary Council (SAVC), several financial service-provider companies and legal specialists, as well as with administrators of PI insurance in the medical field, over and above the MPS and SAMA. Armed with a thorough understanding of the needs of local veterinarians and the knowledge gleaned from its study of other local and international PI cover, SAVA developed vetPROTECT in conjunction with local and international insurers. The South African Veterinary Association understands your needs and motivation better than anyone else. Our members have the welfare of animals as their primary concern and defending the integrity of our members and the profession is paramount. We also understand that faced with a complaint or a claim, your future as veterinarian is at stake and the entire vetProtect team including the underwriter, takes complaints against our members at Council very seriously. The vetPROTECT team also takes the view that should Council stray from what is believed to be their mandate; the correct process will be followed to challenge this situation on behalf of SAVA members who are vetPROTECT policyholders. More than 60 veterinary practices country wide have taken advantage of the discounts and excellent benefits offered by vetPROTECT and SAVA invites you to investigate the transparent and fair cover available to our members. 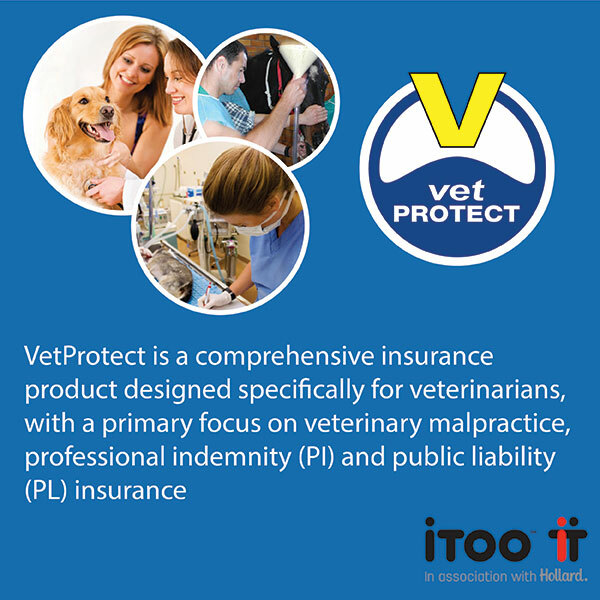 For more information with no obligation you can contact Leonie Delgado, the dedicated vetPROTECT broker, on 0861 838 776 (VETPRO) and get a competitive quote today. Alternatively download a proposal form to obtain a quotation. Remember! SAVA members can get up to a 7.5% discount on premiums.